I wanted to try something new, a hybrid, if you will. 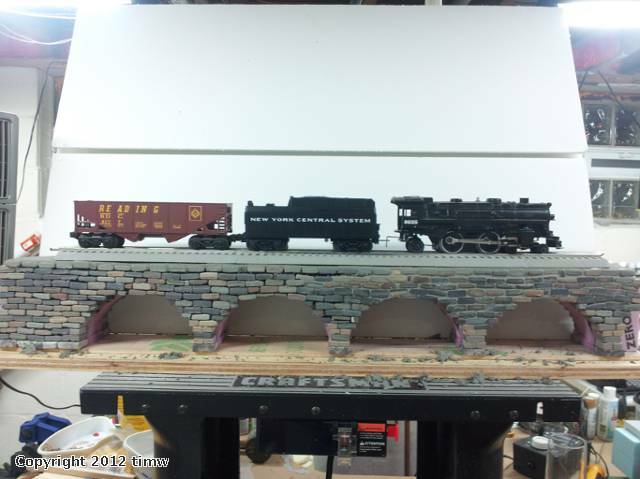 When finished, this will be in 3 sections, the four arches you see here, then a girder span where the maintenance crew opted to demolish 2 arches, and replace that with a rather modernistic girder span on the right hand side to the other abutment, neither of which have I yet made. 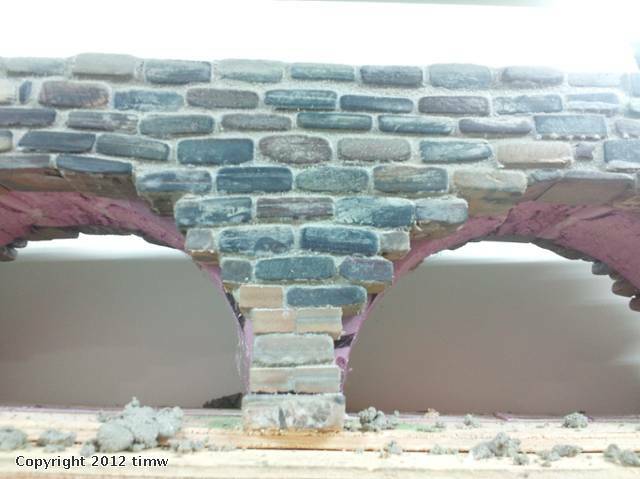 Thus the original bridge was 6 arches, until one spandrel collapsed, making a real mess of coal and stone underneath, so the story goes. 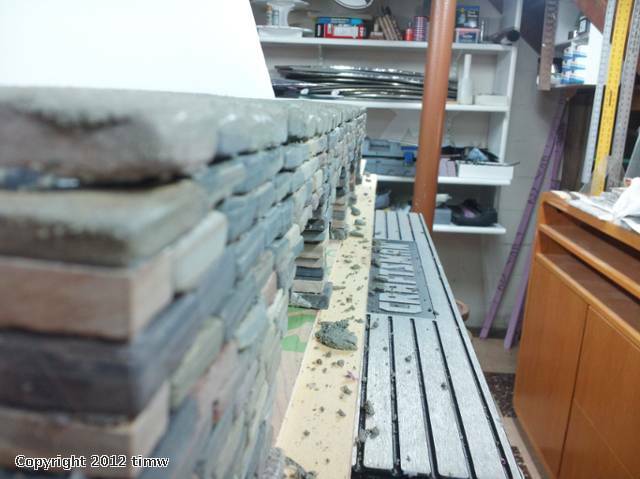 The rest of the bridge was checked, and deemed worthy, and therefore salvaged, and is to be maintained better from now on, and checked on a regular basis by the maintenance crew. 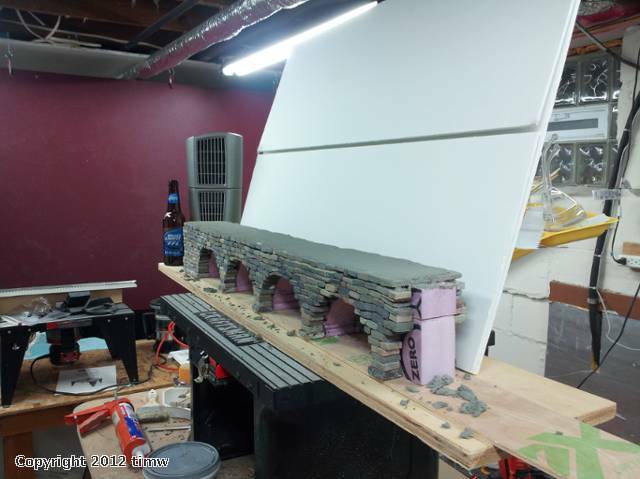 It is a single track, foam core bridge, with real stone extrados, and will feature something new for voissoirs, and keystones, neither of which I have yet made. 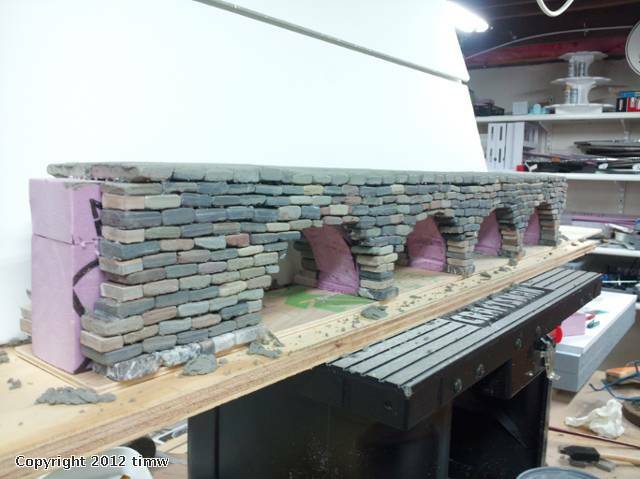 It will be about 5' long total, including the two removable sections that are yet to be built. She weighs 18 pounds thus far, and I expect her to be 25#'s or so when done, and grouted. 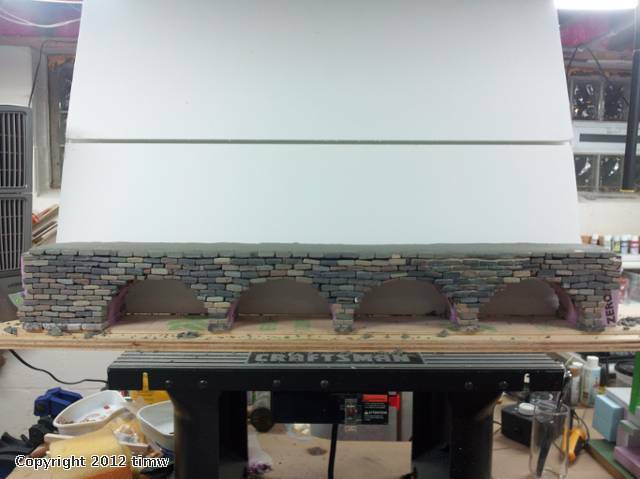 I have begun to grout on one spandrel, as can be seen in one of the photos. Thanks Russ, the grout is pre-mixed stuff from Lowe's or HD, and the stones are from sheets of tile purchased there as well.